WASHINGTON — Lawmakers are again raising concerns over the Department of Veterans Affairs planned overhaul of its electronic medical records systems after the program’s new leader abruptly quit last week. The move came about 40 days after Morris was named the head of the new office, launched to ensure an orderly changeover from the department’s existing health records system to a new one sharing the same underpinnings as the Department of Defense. Just days earlier, the office’s chief medical officer, Ash Zenooz, also announced her planned departure from VA on Sept. 4. Morris said that her appointment “was always intended to be an interim solution” and did not offer concerns about the new VA leadership as a reason for her departure. The multi-year and multi-billion-dollar effort could have wide ranging impact on all of American health care. But the sudden moves have worried lawmakers that the 10-year, $10-billion-plus project may be facing bureaucratic challenges less than four months after department officials finalized contracts for the ambitious technology shift. In a letter to Wilkie following Morris’ announcement, Rep. Jim Banks, R-Ind. — who serves as the chairman of the House Veterans’ Affairs Subcommittee on Technology Modernization — expressed “great concern about the deteriorating and rudderless leadership” of the electronic records effort. 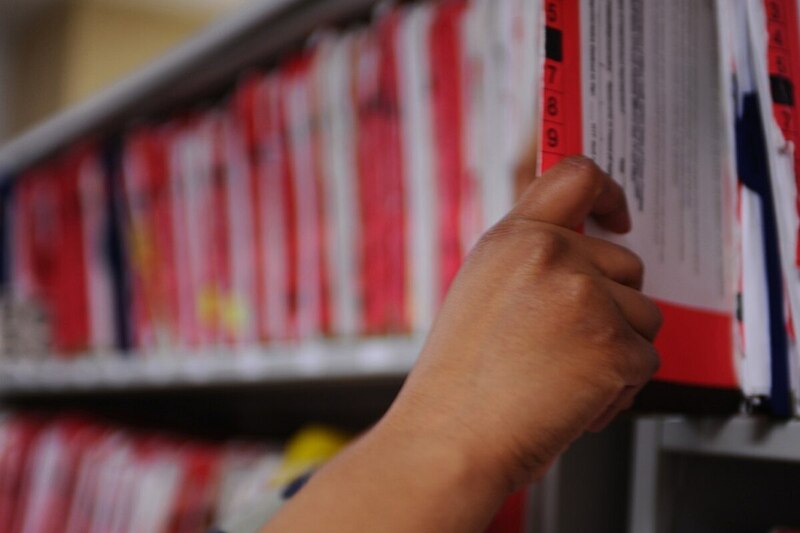 The health records system overhaul has been touted by President Donald Trump as a major step towards fixing VA’s customer-service shortfalls, and was listed by Wilkie as one of his top programming priorities during his confirmation hearing before the Senate. The goal is to bring both military and VA health records in line with each other, a proposal that has been discussed several times in the last decade but never executed. In May, VA officials finalized a contract with the Missouri-based Cerner Corp. to transfer veterans’ health files to to the same MHS GENESIS system being deployed within the Defense Department. The work was delayed several months earlier this year following the firing of former VA Secretary David Shulkin. VA officials said they do not expect any delays or complications with the records work related to Morris’ departure. In a statement last week, Wilkie announced John Windom — a retired Navy captain who previously worked on Pentagon health files — would take over as acting chief health information officer for the new VA records office. “OEHRM is focused on ensuring a successful transition from a legacy patient data system to a new electronic health record integrated across VA, the Department of Defense and the private sector,” Wilkie said. Banks has requested a detailed organizational chart of the office by the end of next week. He has also petitioned the department to quickly select permanent replacements for the vacant leadership positions, and not rely too heavily on more interim staff. House members will return from their summer recess on Sept. 4.